Swans have balls. In an era when people are downloading individual tracks and musicians are releasing albums that are shorter and shorter, the post-punk band has dared to reform and put out an album that comes in at nearly two hours. Fans of experimental rock will be delighted at the sprawling chaos of The Seer, though there are some moments that seem to be lacking direction. Overall, The Seer is schizophrenic, but that may be the band’s intention. The songs range in length from around a minute and a half (“The Wolf”) to well over half an hour (“The Seer”). Some songs clatter and drone (the aforementioned title track, “93 Ave. B Blues”), and others are dark, acoustic samplings (“The Daughter Brings the Water”). 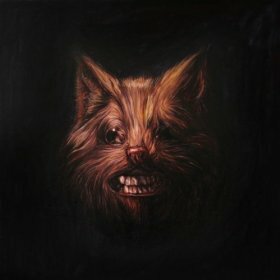 It’s difficult to take The Seer as a whole work of art, but there’s no mistake that Swans have returned with a noisy, purposeful vengeance.